The Fire (published by the MWSA 2017 spring edition) - The Works of Joe Campolo Jr.
Our tent camping days were over! 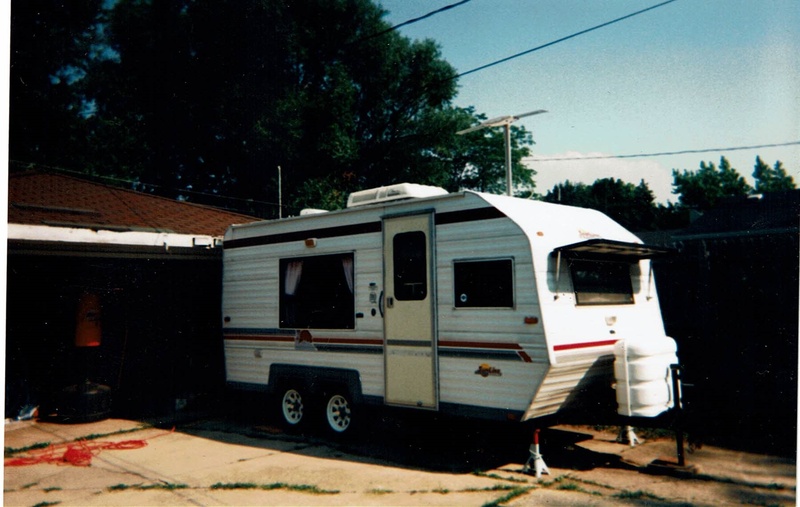 Some years ago my wife Ann and I decided to buy a recreational camper. 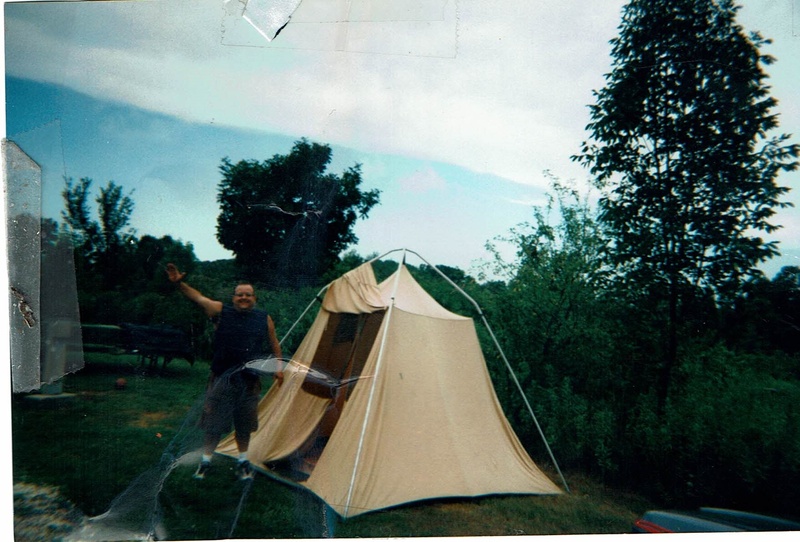 Although we had tent camped early in our marriage, for many years, along with our children, we stayed at remote cabins in Northern Wisconsin in order to get that great outdoors experience. We fished, swam, boated, and immersed ourselves in nature; but now our children had grown and we missed getting out in the wild. We felt camping would fill that void. 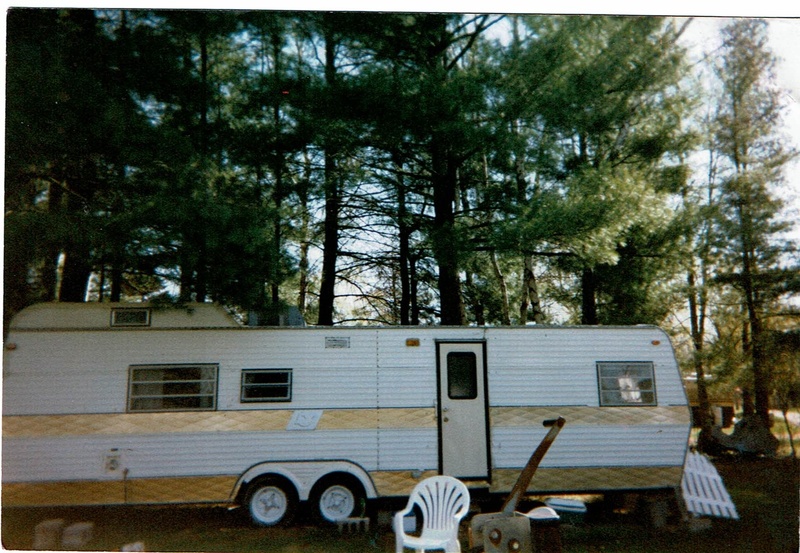 With a modest budget we set out to find a camper which would satisfy our needs. We visited an RV dealer in the area to see what they had available. Their showroom and lot included a variety of campers, both large and small. Some included every creature comfort one could ask for, others were a bit more Spartan, but still a step up from our old tent camping days. After disclosing our budget, (I’m cheap) the dealer got a sour look on his face and directed us to the back of the lot where their “pre-owned” inventory resided. There we found a group of older camping units in various conditions. Our dog’s reservation aside, we were happy with our purchase. The one that best fit our intended outlay (did I mention that I’m cheap?) 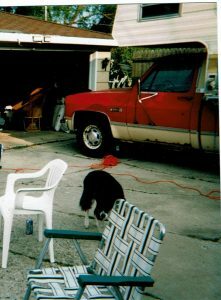 was a very large 1970’s era truck camper fixed upon a 1984 GMC heavy duty pick-up truck. The vintage unit, stood like a hulking mammoth amongst the newer more streamlined campers in the lot; faded paint and rust tarnishing its once, no doubt, sparkling image. The truck itself was powered by a three hundred and fifty cubic inch engine with a four barrel carburetor. It was equipped with two twenty six gallon fuel tanks, oversized steel belted tires, and an extra-large capacity radiator; it oozed raw power. Secured to this mighty beast was the vintage camper itself, which slept four. 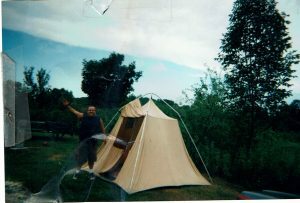 (Five if they were friendly) It contained a queen size bed, a fold out twin bed, a small stove, refrigerator, furnace, forty gallon water tank and two forty gallon propane tanks. 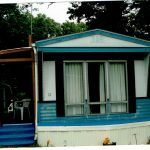 It had a small bathroom with a toilet and sink; the shower spigot was affixed to the exterior of the unit, which for the more tepid camper may have compromised any sense of privacy, not to mention leaving the bather at the mercy of the elements. And although the interior décor was straight off the set of the Brady Bunch; just as Ralphie dreamt about his bb gun on A Christmas Story, I was smitten by this hulking conveyance from campgrounds of yesteryear. A deal was struck and soon we were pulling our magnificent, though admittedly seasoned, home on wheels into our driveway. I had to creep ever so slowly up to the garage as the top of the camper exceeded that of the gutters on our house. The width of the behemoth forced me to disassemble our back fence and gate in order to get it thru. And although I had driven slow enough to gain some of the neighbor’s attention, the looks they gave were not exactly the looks of envy and admiration I had hoped for. 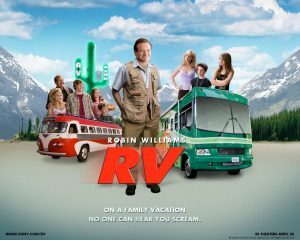 I chalked it off as jealousy or ignorance regarding the wonderful world of RV camping, which we had now entered. Satisfied with our maiden voyage, the camper soon found itself on a cross country trip to the east coast. My good friend Tim, who I served in Vietnam with, suggested we make a pilgrimage to the Vietnam War memorial in Washington D.C. So off I went, to pick up Tim and a friend of his in Ohio before traveling on to D.C. However after spending not one full day on the trip, Tim’s friend decided that traveling in a cramped truck cab was not his cup of tea and bailed, leaving Tim and I to make (and fund) the voyage on our own. The trip went along fine, until we hit some rain and fog while driving at night through some mountains west of Washington D.C. The clearance between the side of the mountain and our lumbering camper was so slight I thought we’d surely scrape the remaining paint off of the vehicle while getting thru. Things took a serious turn for the worse when our windshield wipers stopped working. Of course, there were no exits until we cleared the area, and had there been any I wouldn’t have been able to see them anyway. 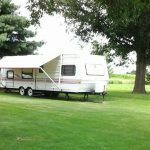 Gas mileage aside, with a successful voyage under its belt, Ann and I felt that our camping unit, albeit costly to operate, had proven its mettle and we soon prepared for another trip. We planned on going to a small campground in Central Wisconsin about four hours from home. The campground was on a lake with a nice population of fish so we hooked up our small boat to tow behind the camper. Looking forward to our trip, we left early in the morning on the fourth of July, equipped for a five day stay. Packed with food, clothing, fishing gear and supplies we got out on the highway and headed north. It was a hot day so we had the air-conditioner going full blast. The trip went smoothly for the first couple of hours. Being the fourth of July, the roads were packed with holiday travelers. With a full load and towing a boat, we stayed in the right hand lane. At around the half way point to our destination the temperature gauge on the truck pegged dead hot. Alarmed, I pulled over on the shoulder and popped the hood. You could have roasted a pig on the engine block as waves of searing heat emanated from it. I gave the engine about fifteen minutes to cool, then drove along the shoulder and pulled off at the next exit. Luckily there was a truck stop with a full garage right at the intersection. I pulled in, and although the mechanic was ready to close for the holiday he agreed to work on the truck. After checking it out, he said the serpentine belt was shot and it would take about an hour to change. I gave him the go ahead and we waited. When the repair was done, we topped off the two gas tanks (yeah; seven miles to the gallon) and got back on the highway. However we didn’t get five miles before the temperature gauge pegged dead hot again! I let go with a few nice expletives, pulled over on the shoulder and popped the hood… but this time all hell broke loose. Huge, bright flames leapt from the engine compartment on all three sides of the open hood, some reaching four or five feet in the air. For several seconds Ann and I just stared in astonishment. Coming to our senses I yelled at Ann to get out of the truck. As she grabbed her purse and opened the door I pushed her out, ran around to her side and ushered her back about twenty feet behind the truck. I told her to stay put and ran back. Flames now engulfed the entire front of the truck including the cab that we had occupied just seconds earlier. I opened the back of the camper to see if there was anything I could save, but the fire now burned thru and thru and I was driven back by the heat. I did manage to get some fishing tackle out of the boat (priorities) but soon even there the heat was too intense so I had to retreat back to where Ann was standing along with a few good Samaritans who had pulled over. One of them had a cell phone and called the fire in. We then stood watching helplessly as the holiday traffic slowly motored past our burning rig, gaping at the ever increasing fire. Soon a state trooper arrived and after assessing the situation started directing traffic into the far left lane, as flames were now encroaching into the right lane. Being in a rural area, the first volunteer fire department arrived shortly after. The fireman in charge stared in astonishment at the huge fireball, now raging on the side of the road. Obviously anticipating a small engine fire, he hurriedly radioed in for more help. Within the next half hour several more volunteer fire units arrived, and try though they may, they could neither put out, nor slow the fire down for quite some time. Fueled by 52 gallons of gasoline, 80 gallons of propane, four oversize steel belted radials, and untold other flammable odds and ends, the fire was so intense the four state troopers now on hand closed all lanes of the northbound highway. The grass between the northbound and southbound highway as well as the shoulder ignited from the heat, forcing some of the firefighters to tend to those areas. In addition; the black top underneath the burning vehicles melted and caught on fire as well, spreading along the road like a snake….diverting yet more firefighters. Adding to the din, cement in the lane next to the shoulder started fracturing from the heat. We provided entertainment for the holiday crowd. As all of this was taking place, Ann stayed back watching in horror. I hopped back and forth between the various firefighters and police, trying in some way to help and also to convince them not to take any unnecessary risks attempting to save anything. The last thing I wanted was to see anyone get hurt trying to salvage our less than prime camper, truck and fishing boat. In the meantime, passersby were putting on their own show. Northbound traffic was closed completely for almost one hour until the blaze was under control. Many holiday travelers, unhappy at having their vacations delayed, yelled obscenities or communicated their displeasure with a hand gesture. I sheepishly grinned and ignored them in most cases; in other cases I yelled back or returned the offensive gesture. Other people were more understanding, giving us looks of sympathy or shouts of encouragement. 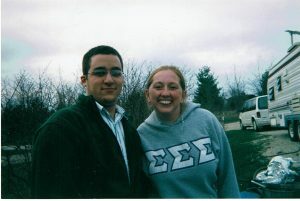 One of the firefighting team members on hand was a grievance councilor who stayed with Ann during most of the ordeal. (Before therapy puppies and hot cocoa were in vogue) Attempting to show a brave face, Ann told the firefighters that the ribs in the freezer were probably done by now and they could have them for dinner. Within three hours, but what seemed like forever to us, the fire was out and all that remained was the charred hull and powertrain of the truck, the boat trailer, anchor and the little Smoky Joe Weber grill; minus handle and hardware which had burned up along with everything else in our possession. 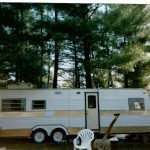 The boat and camper itself, along with our clothing, fishing tackle, household goods, personal items, food, beverages, tools, etc. were “gone with the wind”. Now, as if on cue, every person on site stood still and took stock of the situation. And in one last bit of triumph for the Gods of fire, the Smoky Joe Grill, which evidently had been building up with heat pressure, blew. The top half of the sphere went screaming straight up into the air about forty feet. As everyone watched, gravity finally took over and it fell back to earth right in the midst of everyone, landing with a bang, still spinning for another twenty seconds, like a dime tossed on a steel plate. That was the coup de gras, after which everyone on hand, Ann and I included, laughed and cheered. Exhausted firefighters now sat and relaxed, a few troopers started leaving and traffic was freed up to go on its way. A large wrecker with a flatbed trailer arrived and the skeletal remains of our truck, camper and boat trailer were loaded on and taken to a nearby service center. The firefighter with heat exhaustion had recovered, we thanked everyone on hand and said goodbye; they said goodbye in return and wished us luck. One of the troopers drove us to the service center where our burnt out wreck was now on display for anyone in the area to gape at. Our son Billy and his girlfriend at the time, (now wife) Jessica; visiting on one of our camping trips. After filling out paperwork we phoned our son Billy in Milwaukee and gave him a brief explanation of what happened. He immediately left to come and get us. Now with idle time on our hands we drank liquids and consoled each other over our loss; while passersby stopped and gawked at the charred remains of our property. When Billy arrived, he pulled into the lot and slowly got out of his car, staring incredulously at the burnt out remains of our once fine truck, camper and boat. The boat and camper had burnt up completely with no visible remains. What did remain from the fire, the hull of the truck, drivetrain and boat trailer, sat discolored and warped, seemingly naked and exposed to the world. From the earlier phone conversation, Billy had gotten the impression that there was just a small engine fire and the vehicle would be repaired and picked up at a later date. Now he stood in shock, staring back and forth at the skeletal remains of our rig and then at us. Ann, watching Billie’s reaction, now started sobbing. I walked over to him and cracked a few jokes; “You should see the other guy” and things of that nature. He just kept shaking his head in amazement. We touched base with the shop manager who told us there would be some reports and a scrap charge he would send us, whereupon we left. The trip home was fairly quiet, with all of us numb, so small talk was pretty much out. After the ordeal we were relieved to get home to a familiar and safe environment. Being the fourth of July, Billy had plans for the evening so he headed back to Milwaukee. We thanked him for his help and somewhat sadly watched him leave. We called our insurer and left a message on their voicemail. Our daughter JoAnn was in California at the time and we decided to tell her when she returned so as not to ruin her trip. Ann called her sister who was having a fourth of July party at her house. She suggested we stop by to try and salvage the rest of the day. When we got there, of course, we had to retell the story, to everyone’s amazement. But we did manage to relax a little and had a pretty good time and a couple of good laughs regarding the whole episode. Later everyone was glued to the television as our catastrophe made the six o’clock news out of Milwaukee. The aerial film was of poor quality, with smoke from the fire the only thing visible, so it was just a short blurb. The nice little camper we got after the fire. Fortunately we had replacement insurance on our vehicle and personal property, so I was eventually able to replace the truck, camper and boat…with an upgrade in each case. And as I expected, when everything was clear and done, the insurance company canceled our policy faster than Oliver Hardy taking down a cream puff. Despite our disaster, Ann and I kept right on camping. With our new (used) travel trailer pulled behind our new (used) pick-up truck we had many fine camping excursions with our children and friends. We’ve had a couple other rigs since then as well. 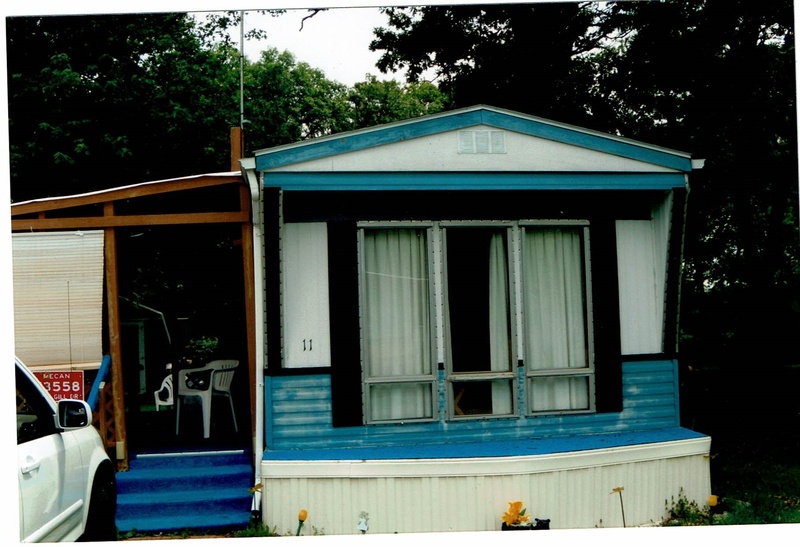 Today we have an old mobile home near a lake in Central Wisconsin where we spend much of our time. We don’t have to tow it, level it, flush out any waste tanks or even wash it. We do, however, have to make sure IT DOESN’T BURN TO THE GROUND! 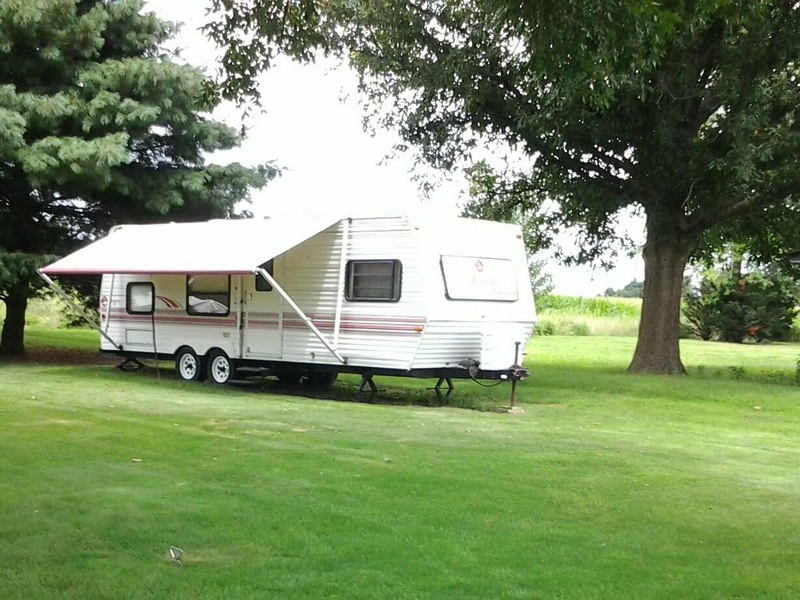 The mobile home we currently have in Central Wisconsin. A nice 26′ Jayco we had near Corpus Christi, Texas for a time. ◀ Lt. General Hal Moore, R.I.P. Very good story dad! What a great author/writer you are! Thanks for sharing! Thanks JoAnn; it has been very popular. Nice story, Joe! You do have a knack for inserting (humor) and describing incidents. I thoroughly enjoyed your tale of woe! Thanks John! I enjoy your writings as well. Great work for a couple of tired old Nam Vets, ain’t it?